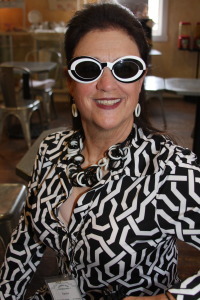 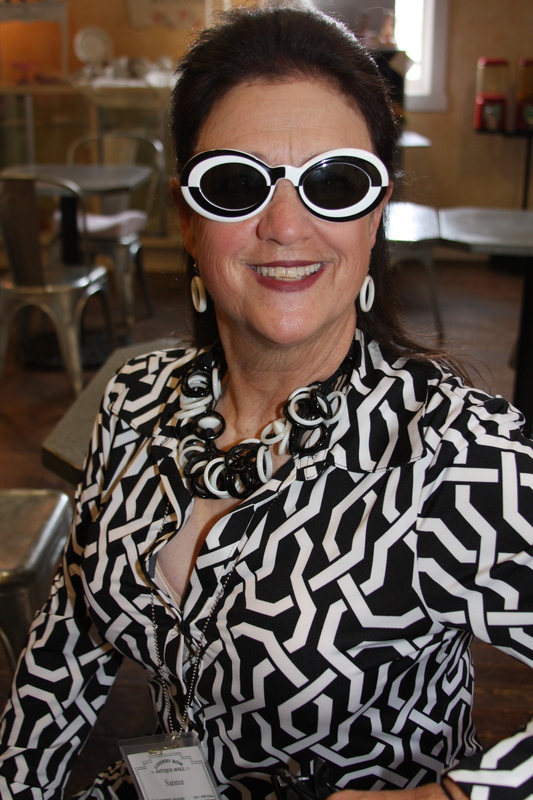 Sannie is our own Bettie Page of the Mall. 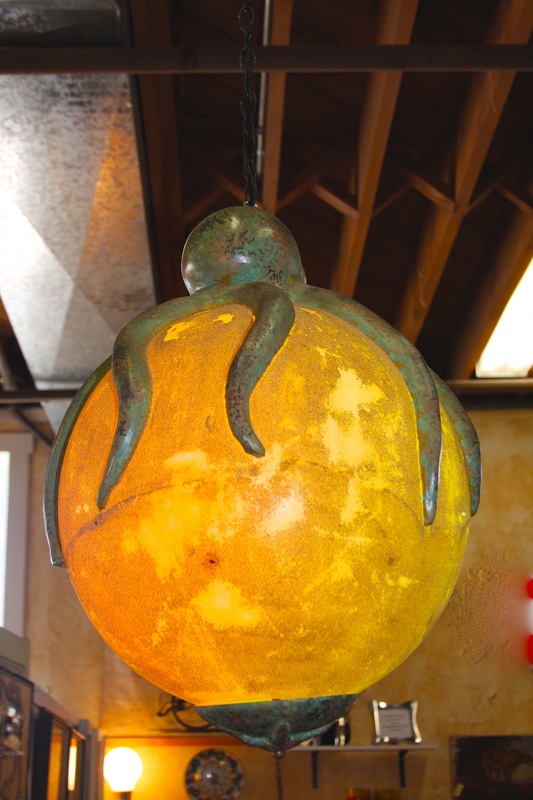 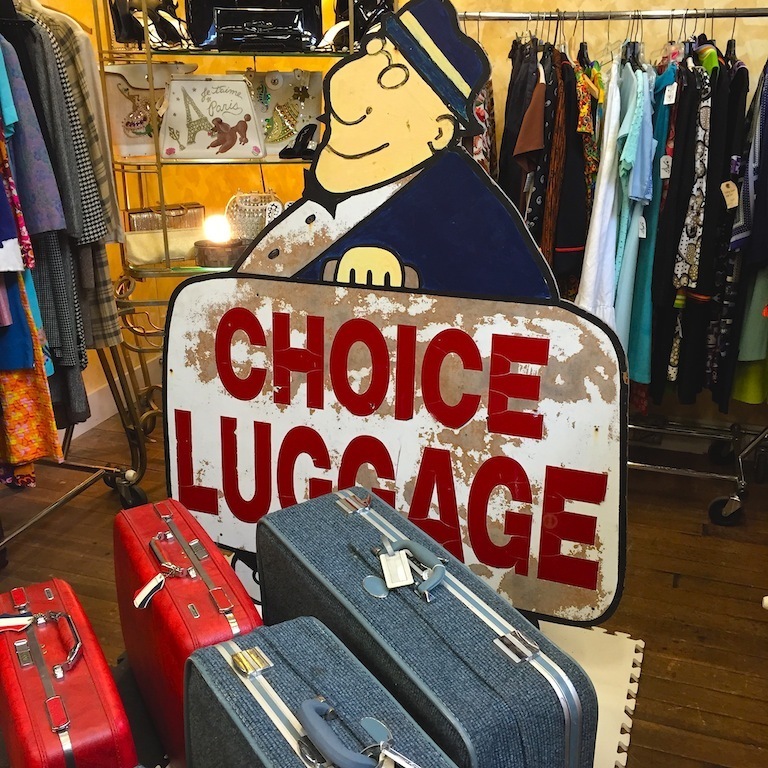 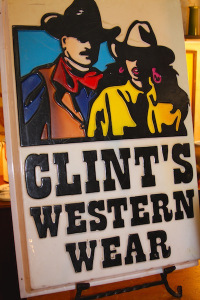 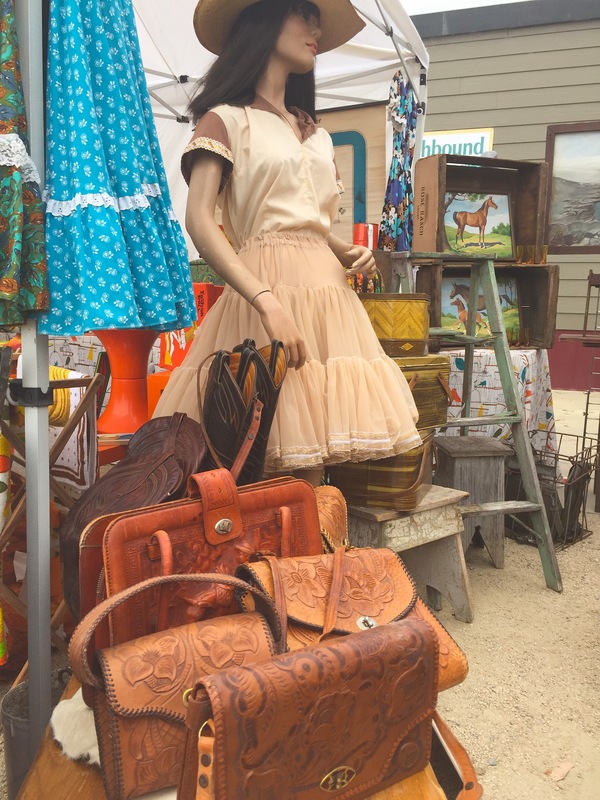 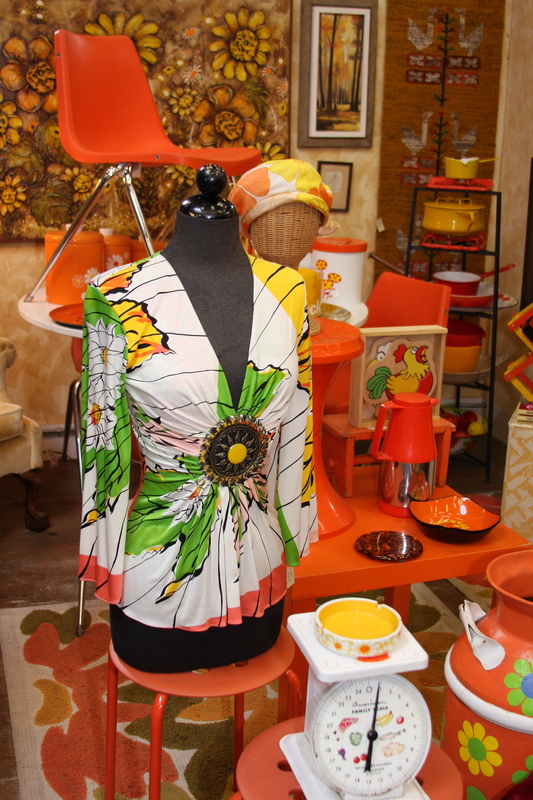 Along with her husband Frank, this colorful couple brings their outrageous mix of mid-century furniture, art, retro clothes and accessories, record albums, and anything fun to bring a smile to their customers faces. Dealer 592 – Main Floor & Upstairs. 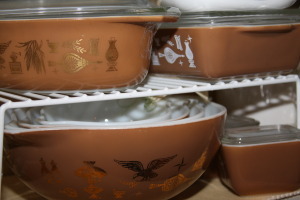 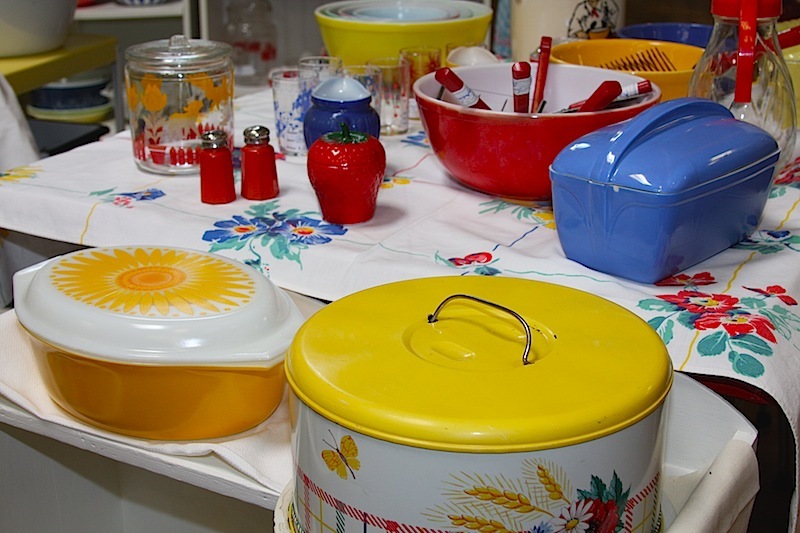 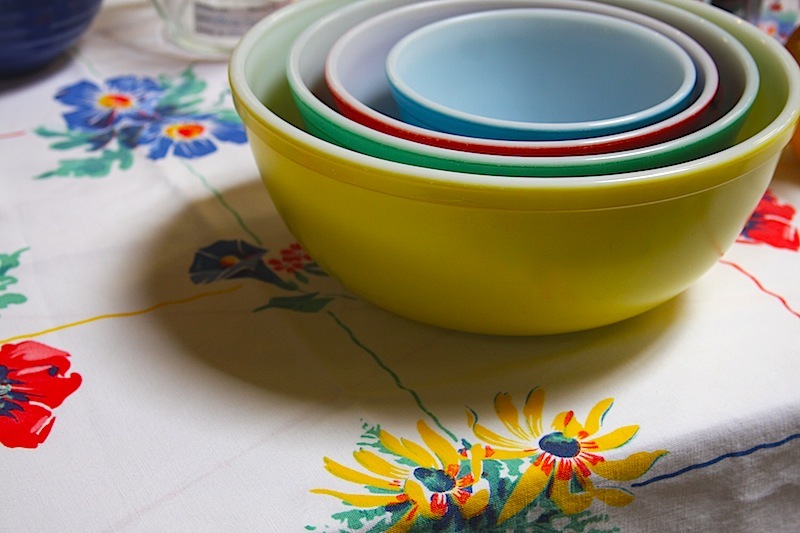 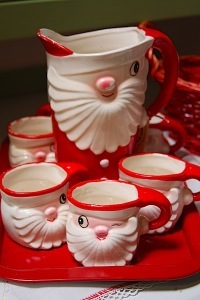 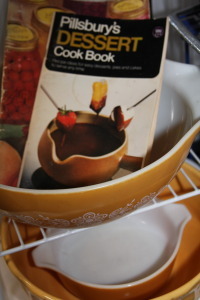 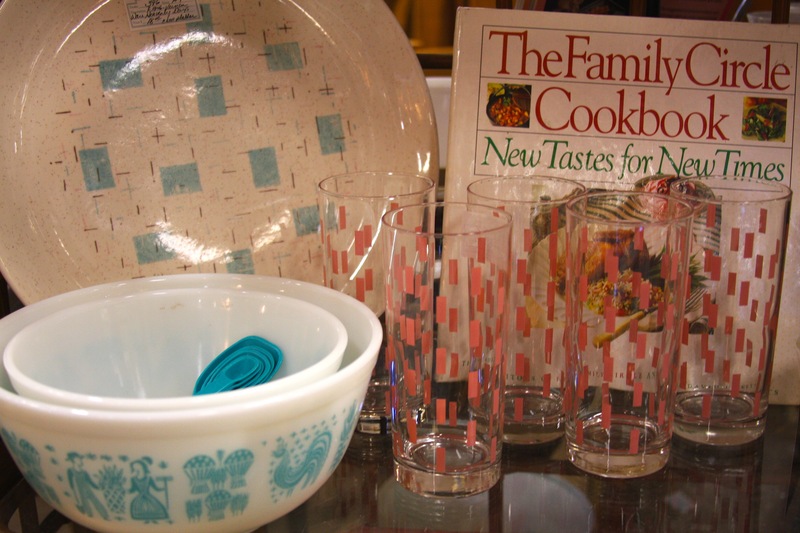 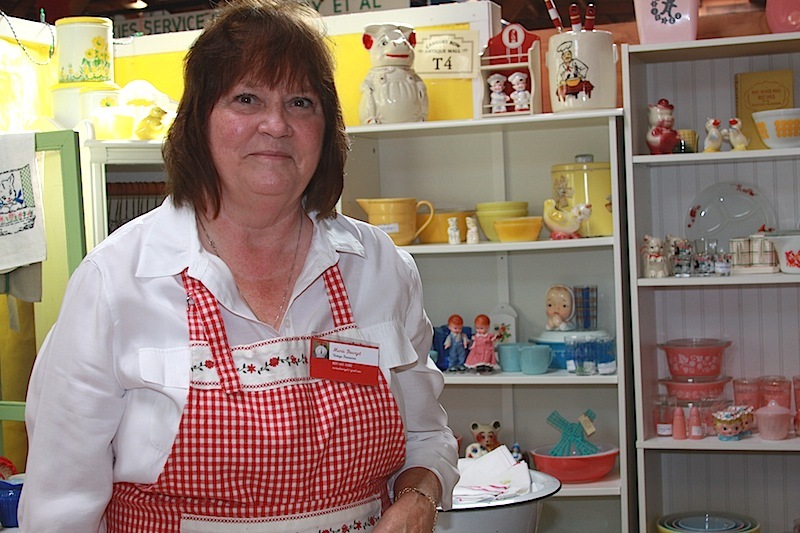 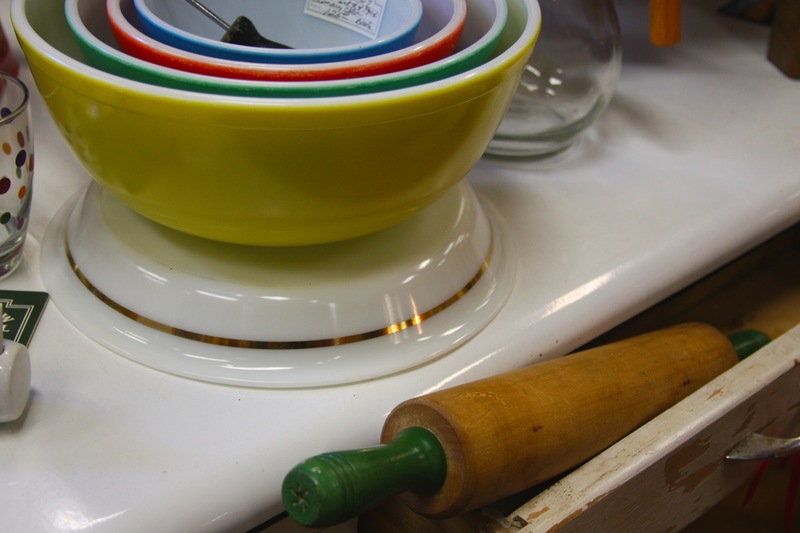 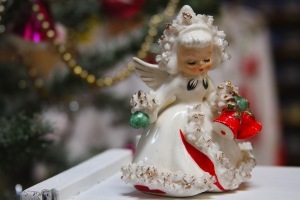 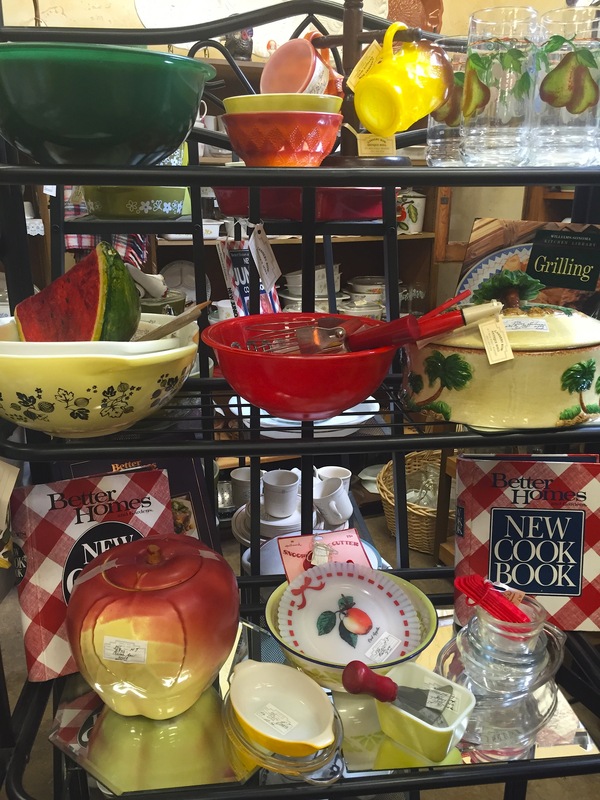 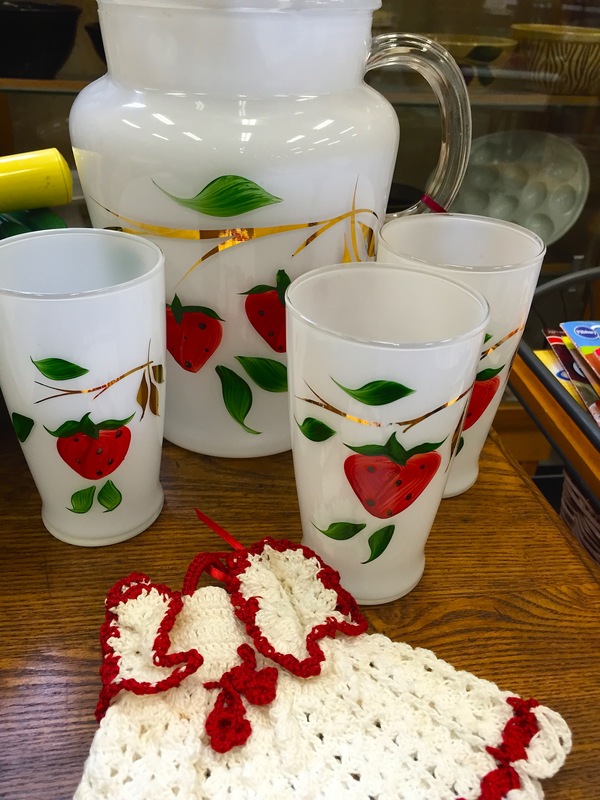 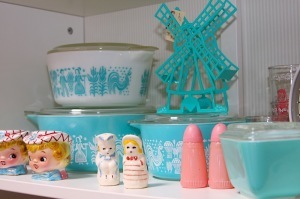 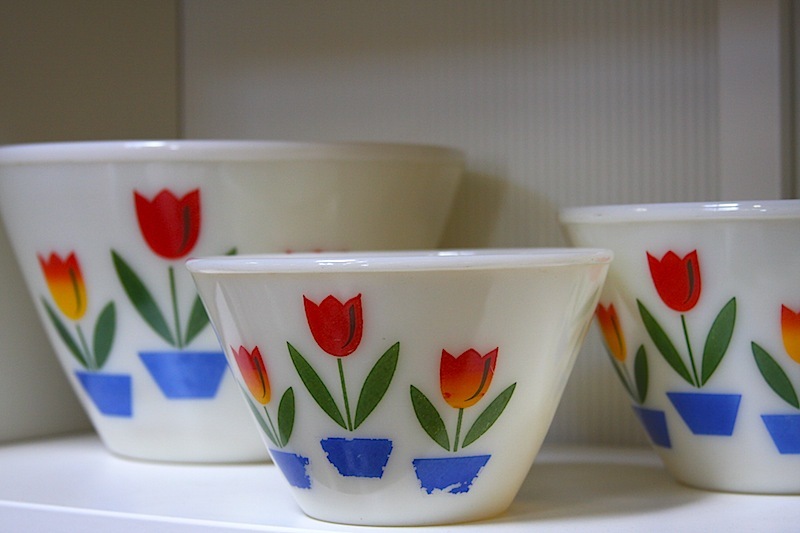 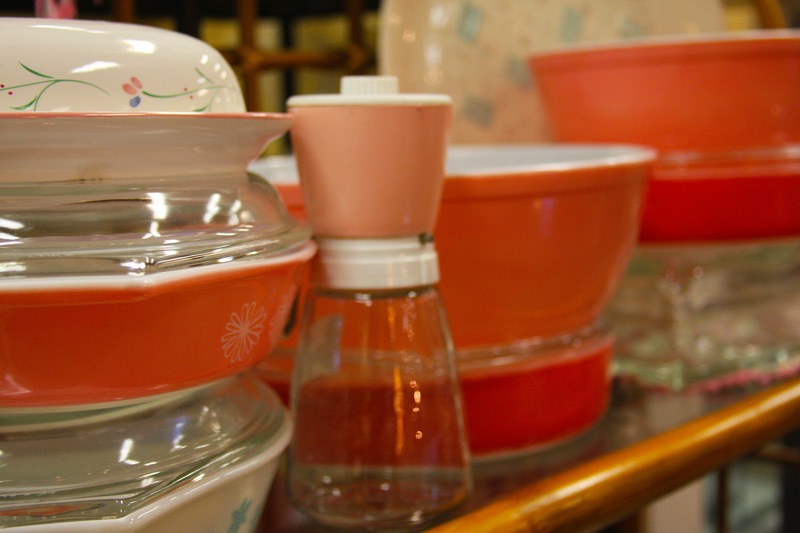 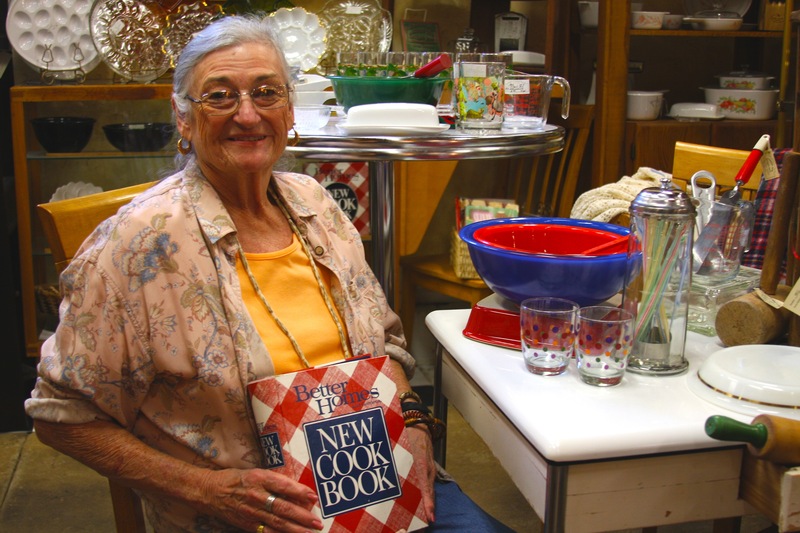 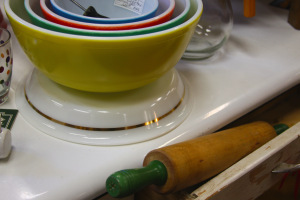 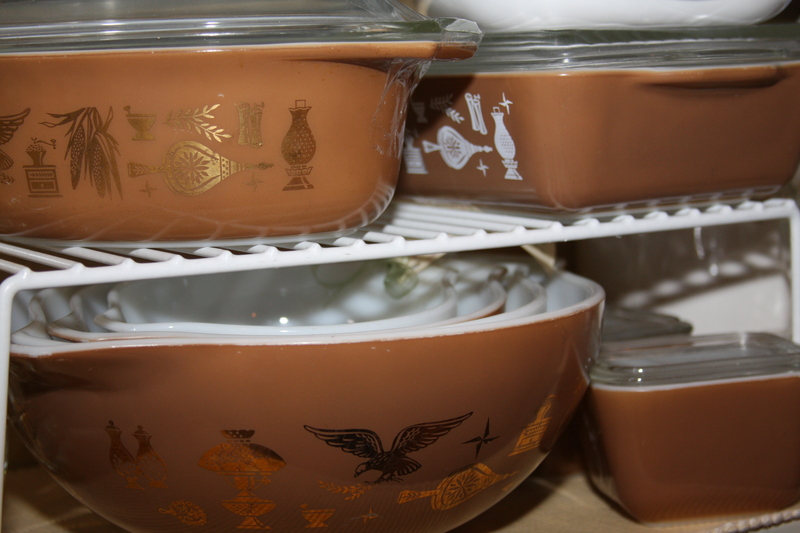 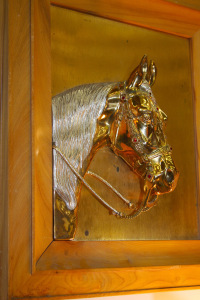 Kitchen Queen Ann, showcases an extensive collection of 1940’s-50’s Pyrex, Corning, Cookbooks and Kitchen accessories. 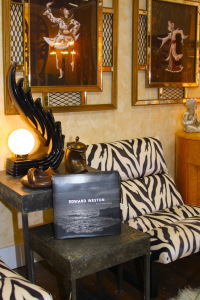 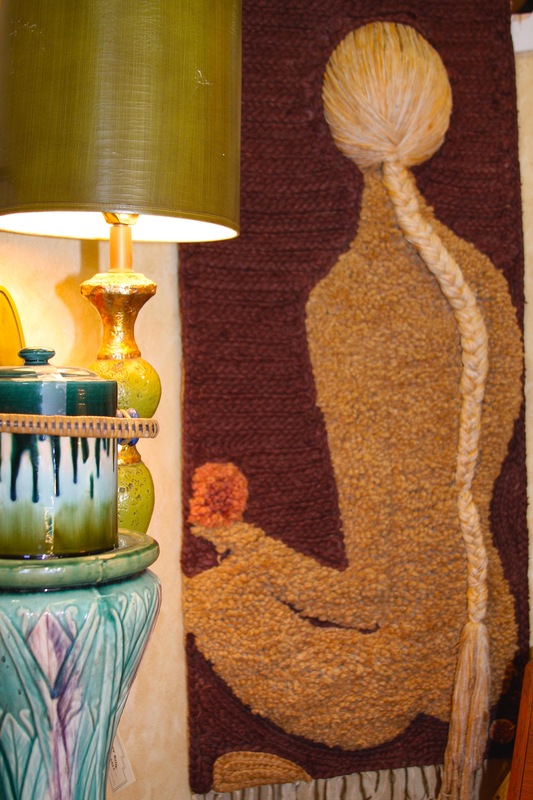 Look to adjacent space for Ann & Dennis’ highly sought after Waterfall furniture. Dealer 396 – Main Floor. 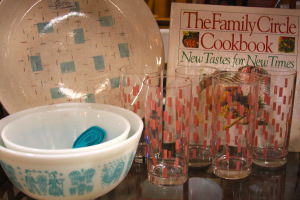 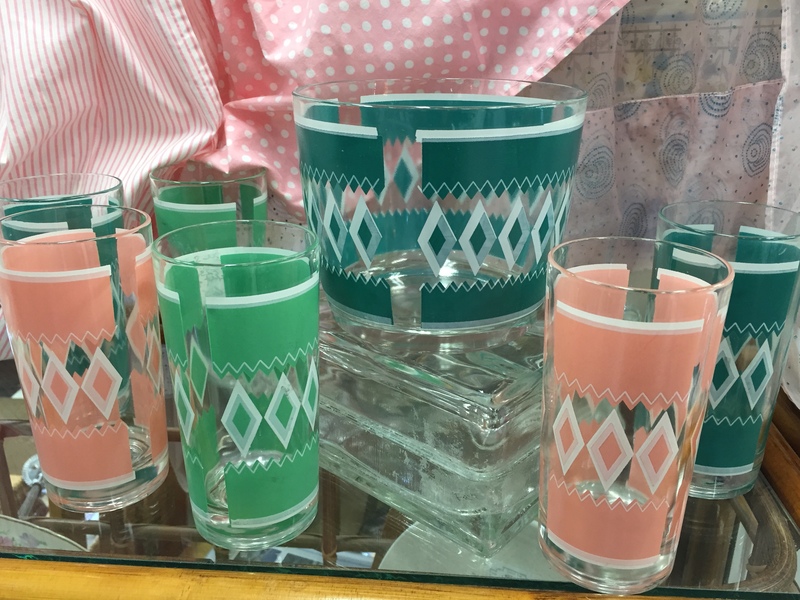 Caramel colored Pyrex bowls, Corning, Cookbooks, 1950’s glass tumblers and Aluminum trays are among the many items offered in Carol’s fun space. 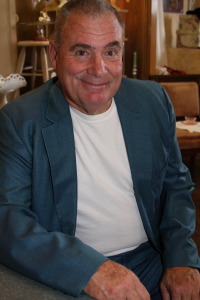 Dealer 607 – Upstairs. 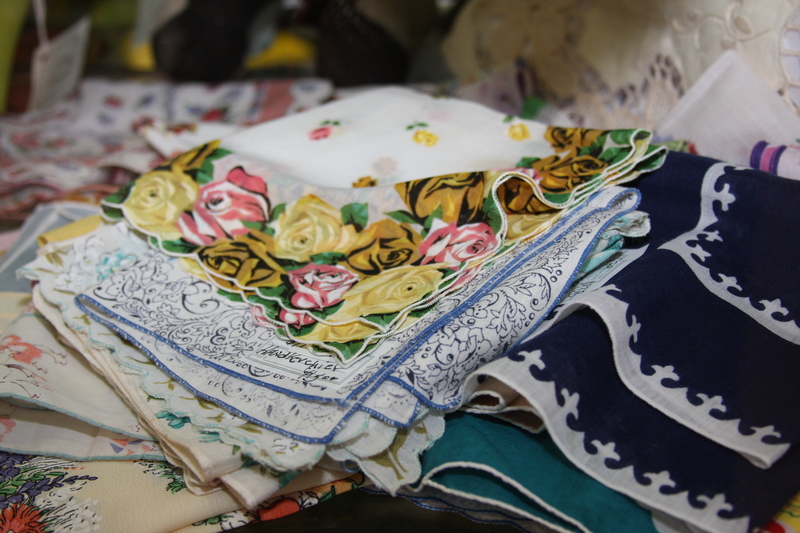 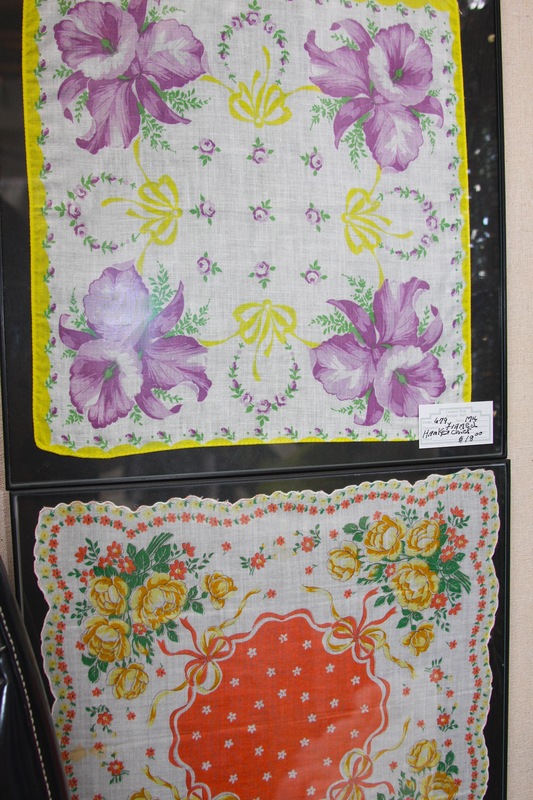 Vintage hankies are a specialty of Margaret’s. 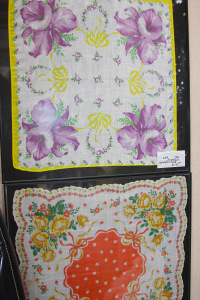 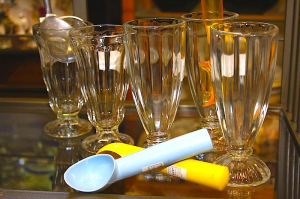 These necessities of old are in pristine condition and some are framed for hanging. 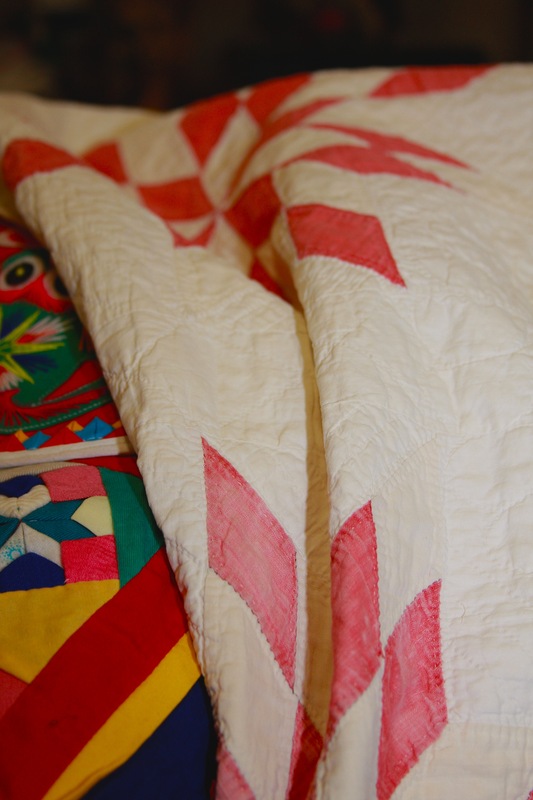 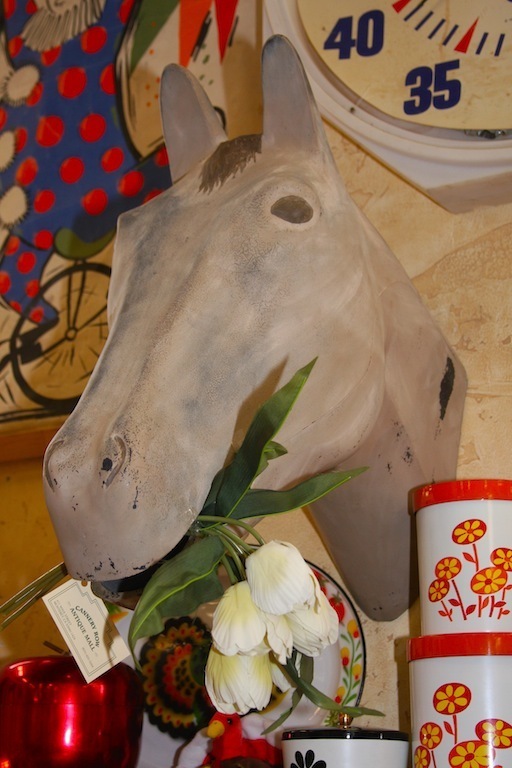 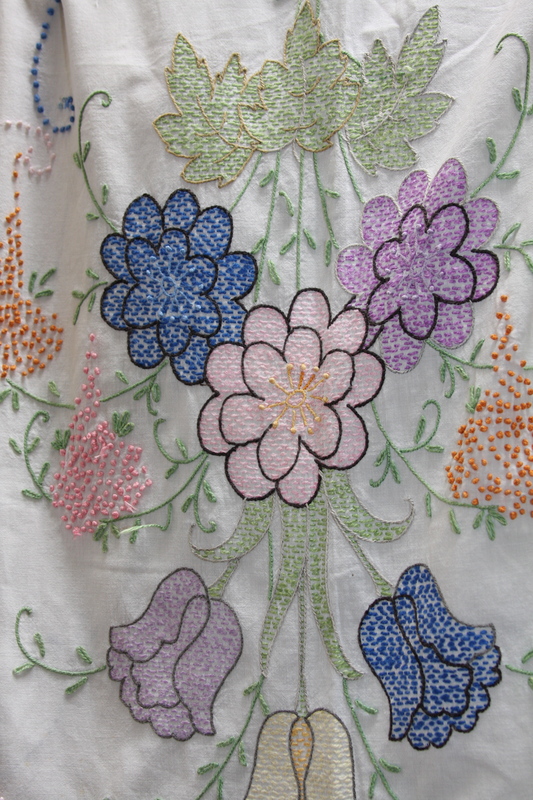 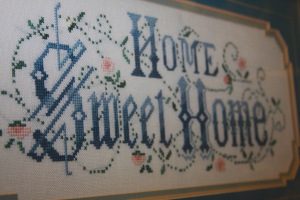 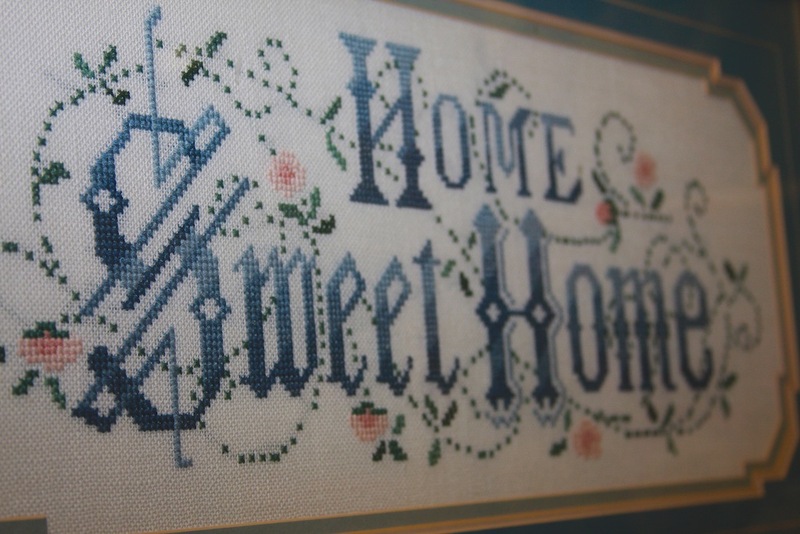 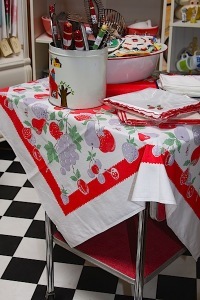 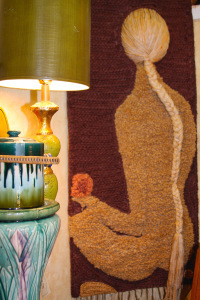 Also offered for sale in her space are vintage quilts and fine linens. Dealer 679 – Main Floor & Upstairs. Marie has brought to the upstairs, a breath of fresh air. Collections of Pyrex, 1950’s cotton tablecloths, rolling pins and vintage Holiday, all staged on kitchen tables, cupboards and set off by a black-and-white checkered floor. 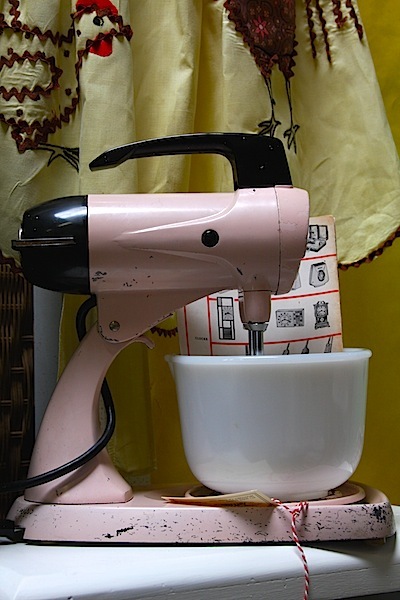 It makes you want to start baking immediately. 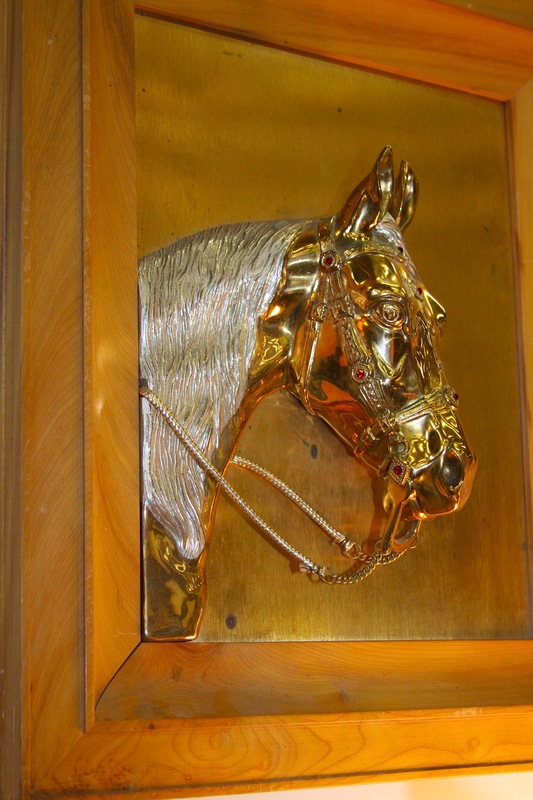 Dealer 727 – Upstairs.